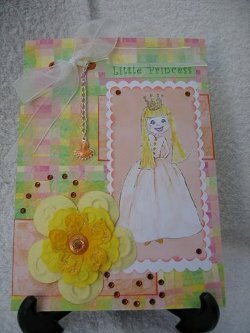 Card making kits, easy to use, fantastic results. Card Making kits are an easy way to get all the backing papers and toppers you may need for any of your creations. 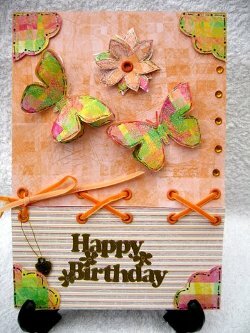 There are lots of ways for you to get kits that can be put together for your card making, and they will all give excellent results. Or perhaps in colour combinations with decoupaged layers. The choice is extensive so shop around and the internet is your friend for scouring for these papers. And the good news is that some kits are FREE for you to download. But you must make sure that you read the artists policy before you buy especially if you want to make cards and sell them... as some kits are for personal use only. You won't have to go to the craft shop, in the rain, only to find out your favourite kit is now sold out or worse still it has been discontinued. All you need to do is browse the online shop, make your choice, order the one you want, pay and download the kit, store it on your computer in a file name you will remember and print off whatever you need instantly. In just a short time you can be producing some fabulous work with the help of the designers who produce all this wonderful stuff for you to use. All these cards are made from downloads, and they are all very different. The are many designers featured in Useful Resources and they have the papers, sentiments and toppers in them, and all the elements you need to produce colorful cards. They are all excellent value for money. So don't discount card making kits ... especially the free ones and you will not be disappointed ... and that's a promise.